Replacement Costs – Will you be automatically covered for replacement cost of your watercraft if your vessel is less than three years old? Agreed Value – Can you get an “agreed value” for a watercraft more than three years old and insured at more than $1 million? Lay Up Period – Does your insurer insist on a Lay Up period during the year? If so, how long are you not allowed to use your craft? Navigation Limits – Does your policy limit where you can travel with your watercraft? If so, where? Personal Effects – What is covered by your marine policy and your homeowner’s policy? What about your guests? How does your watercraft coverage work with your homeowners insurance?Are you paying twice for some things and missing others? Precautionary Measures – Will your policy cover your costs to move your craft out of harm’s way due to an impending storm? Emergency Towing – Does your policy cover emergency towing? Are there limits to this coverage? Environmental Damage – Are you covered for damage you may inadvertently cause to a marine habitat? Medical Coverage – Are you covered for bodily injuries from an accident? Are there limits to this coverage? Uninsured Boaters – Are you covered for damages sustained from an accident with an uninsured vessel? Physical Damage – Will your insurer waive your physical damage deductible for partial loss caused by another vessel? Tender Coverage – Is a tender attached to your boat covered? Are there limits to this coverage? Living Expenses – Are your living expenses covered in the event of a loss? What about during a breakdown? Removal of Wreck – Does your insurance cover removal of a wreck if you are legally required to remove it? Ice and Freezing – Does your policy include losses resulting from ice or freezing? Mysterious Disappearance – Does your policy cover mysterious disappearance? Electronic Navigational Equipment – Are additions and customized navigation equipment included in your policy? Is there a deductible? Search and Rescue – What happens if a person is lost from your vessel and search and rescue costs are incurred? Mechanical Breakdown or Faulty Repair – Are you covered for costs that result from mechanical breakdown or faulty repair? Are there limits to this coverage? Fishing Tackle or Diving Gear – Are you covered for losses that you or a guest may have while you are on board your craft? Manufacturer’s Defects – Are you covered for costs that result from a manufacturer’s defects even if not covered by their warranty? Trailers – Does your policy cover repair or replacement of a trailer used with your watercraft? Sails and Outboard Motors – Will sails and outboard motors that are damaged or lost be replaced? For new? Or for a cash value? Water-skiing – Are limits and liabilities changed when a craft is used for water-skiing? Charter Coverage – Is your vessel covered if you charter it out? And one more … Captain and Crew coverage – Does your policy protect a full-time Captain and Crew, if you have one? Ask your broker these questions. 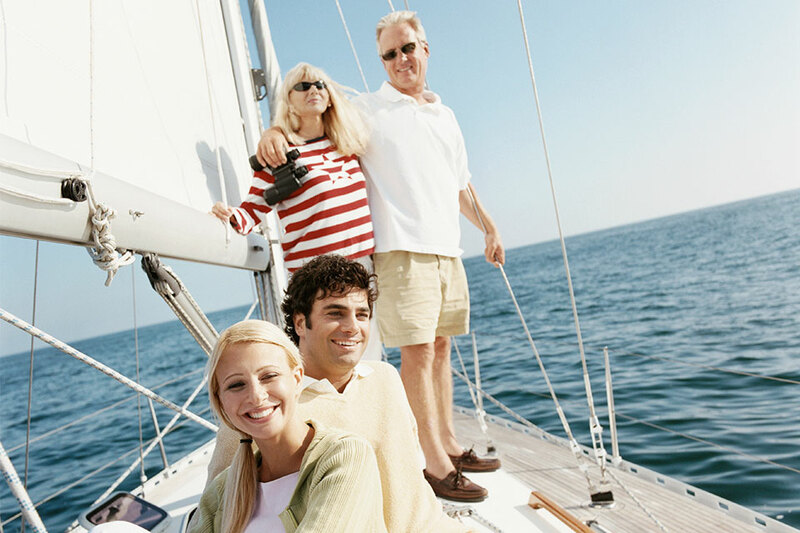 If you have separate marine and homeowner coverage, ask both brokers about your coverage.